Where? 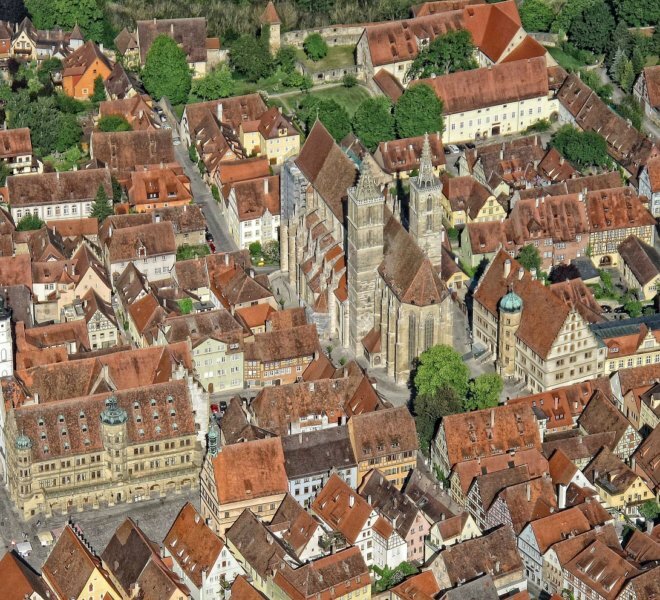 The Taubertal Festival is held in sight of the castle gardens in the Tauber valley. The Eiswiese in the direction of Detwang is the main stage. What? 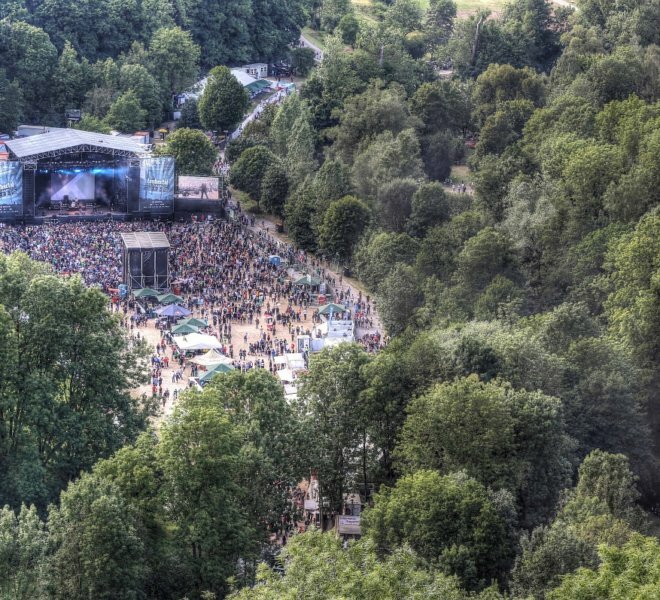 Alternative, rock, and hip-hop acts perform on the stage during the Taubertal Festival. 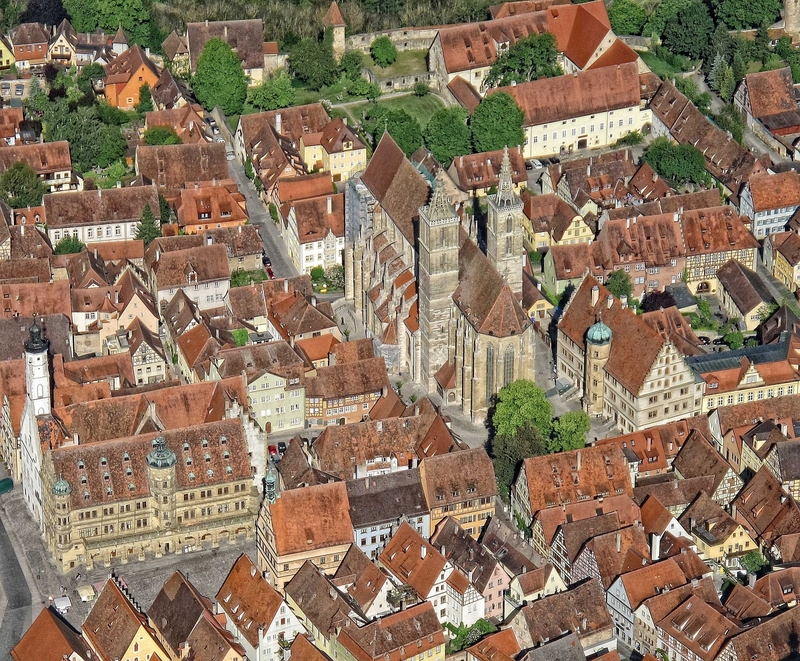 The mainly young audience camps at the festival and enjoys a wonderful view of Rothenburg’s old city. 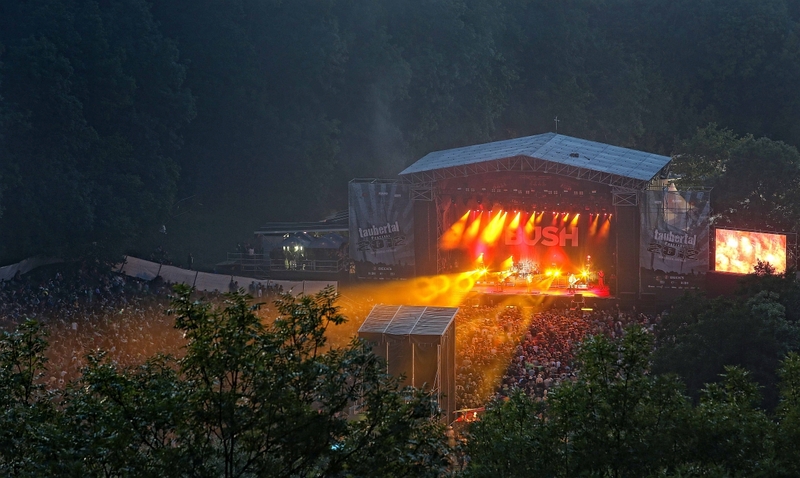 Renowned artists such as Fantastische Vier, Iggy Pop, Pink, Jan Delay and Placebo have all played at this intimate venue. 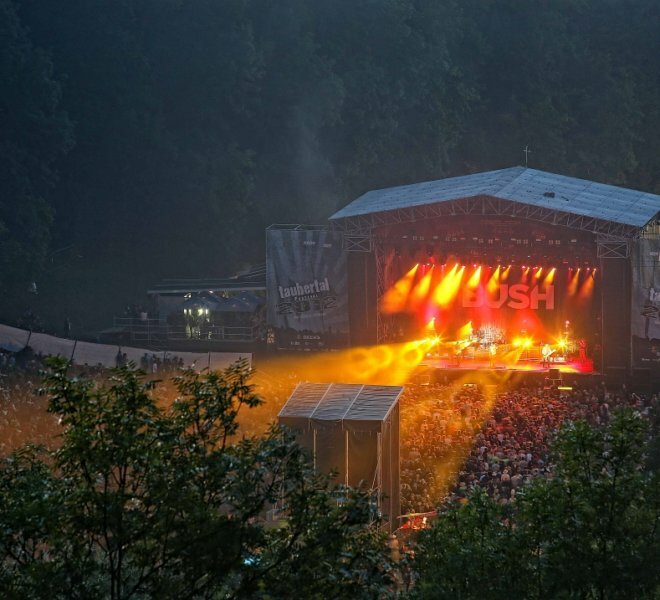 Right from the start it was important for the festival’s founder and event manager, Volker Hirsch, to create a special atmosphere that guarantees a completely “live” feeling. 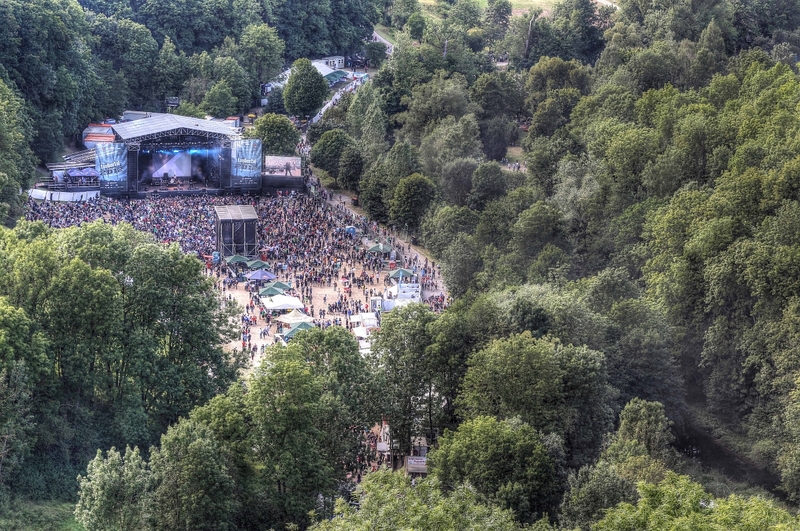 Fun fact: 15,000 people attend the Taubertal Festival each year! An absolute must: Anyone who doesn’t have a ticket and who wants a breath of fresh air can find a perfect spot at the Unter den Linden beer garden and the bar at Steinbruch. No ticket is required and you can soak up the relaxed atmosphere!